Extendable ergonomic handle with rubber grip. 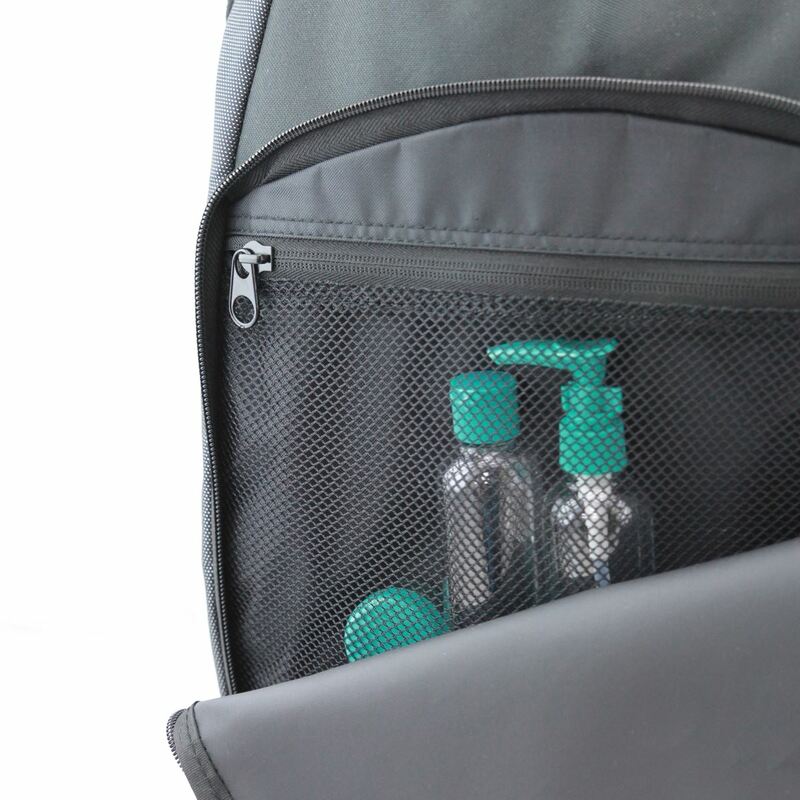 Three zipped pockets, two of which contain mesh dividers. Meets cabin luggage dimensions requirements. Can be used with the Maine laptop pouch for more versatility. 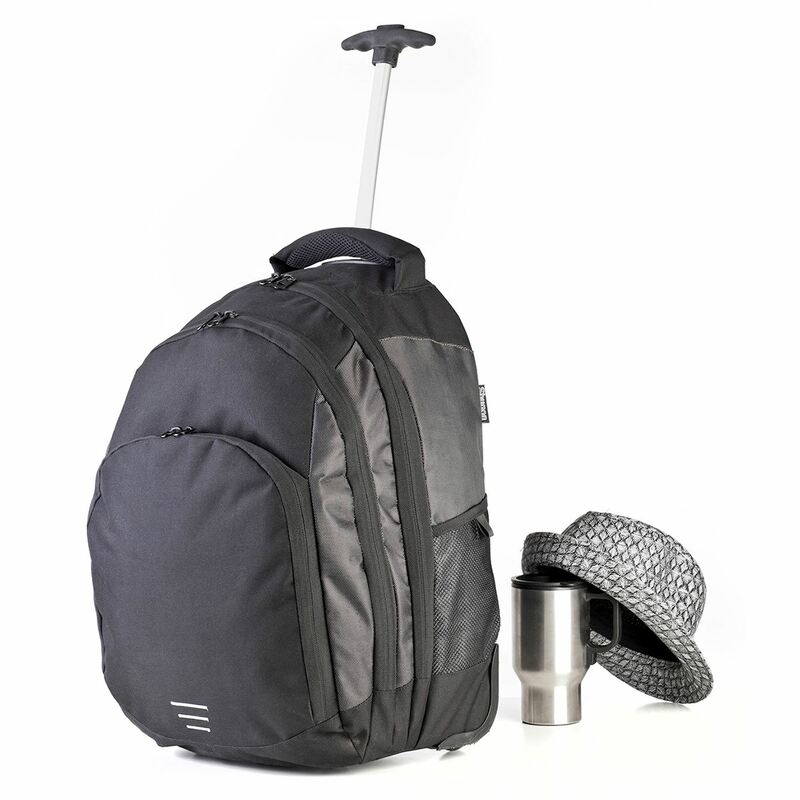 The Carrara II Trolley Backpack is a hybrid travel bag suitable as a carry-on cabin bag. 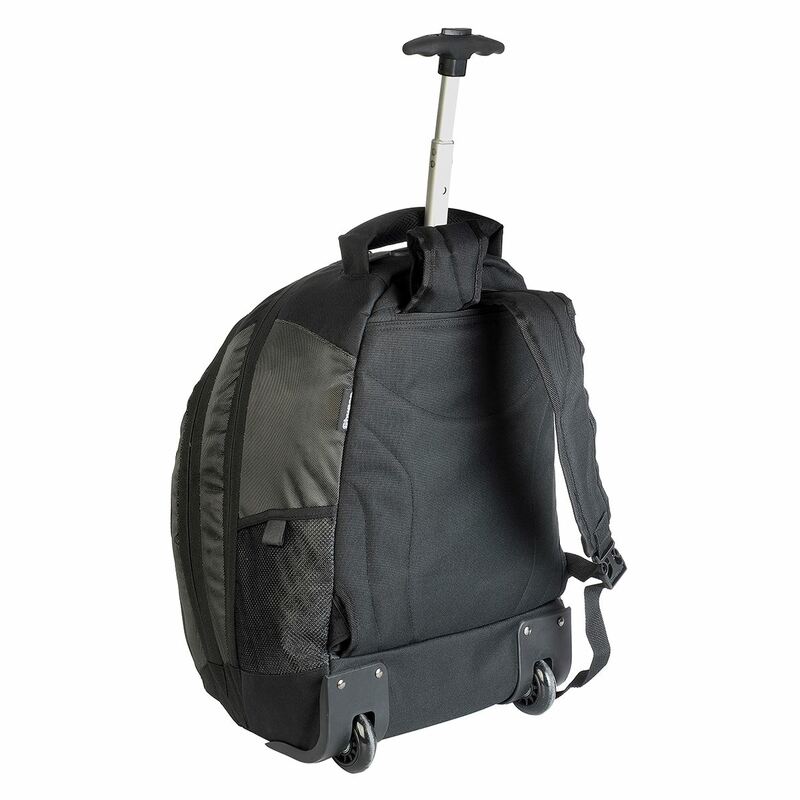 It is versatile and has your wheeled travel bag needs and comfort in mind. Suitable for screen printing, transfer printing or embroidery, we can transfer your logo, design or brand directly to our stock products, or create customised trolley bags just for you. The colours, fabrics, webbing, wheels and more can all be changed to meet you design requirements.